I never realized that seeing your son ride the bike the first time could be as emotional as seeing him do his first step. Today just gave me that feeling again when I see my son ride the bike for the very first time. 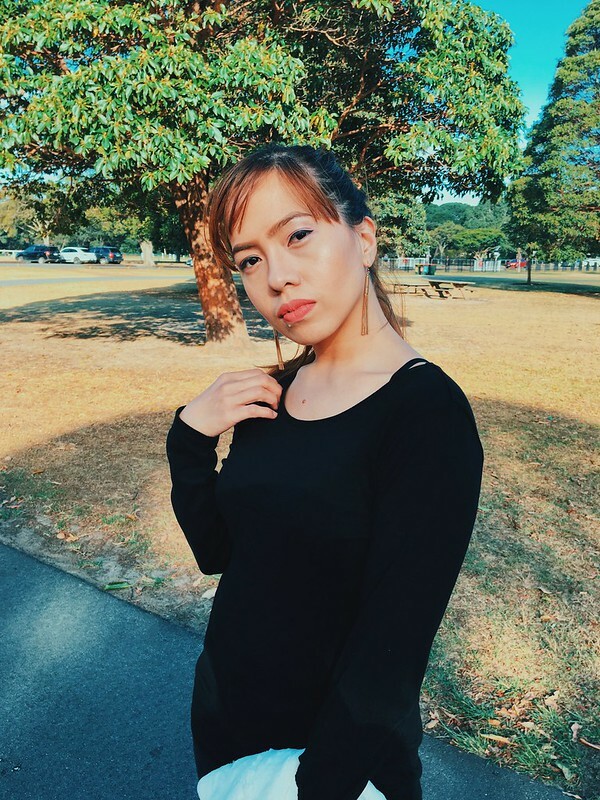 While we usually allocate our weekend mornings to household chores, we make sure that we go out in the afternoon to unwind from the busy work week we had. 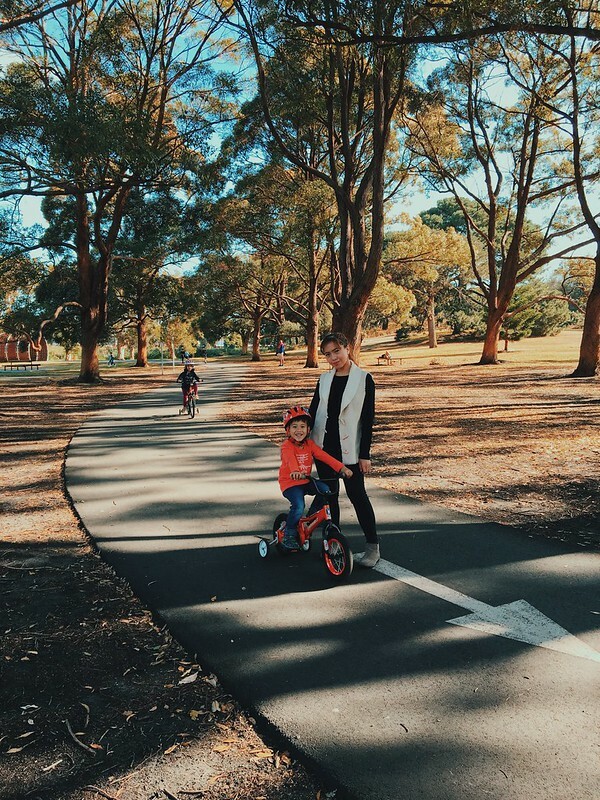 So for this Saturday afternoon, we decided to go to Centennial Parklands (which is really close to the city) to have a quick meet-up with our friends and have our much-deserved family time. 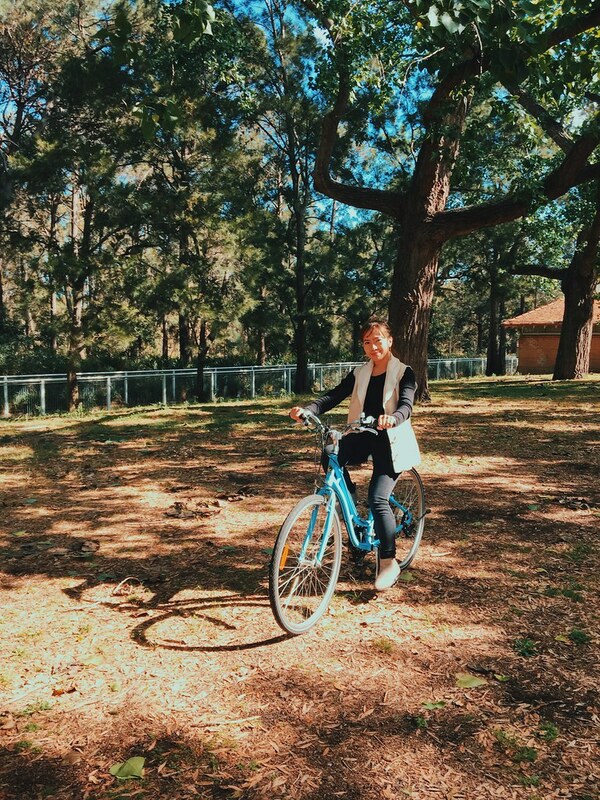 It was also our first time to hire a bike for ourselves. 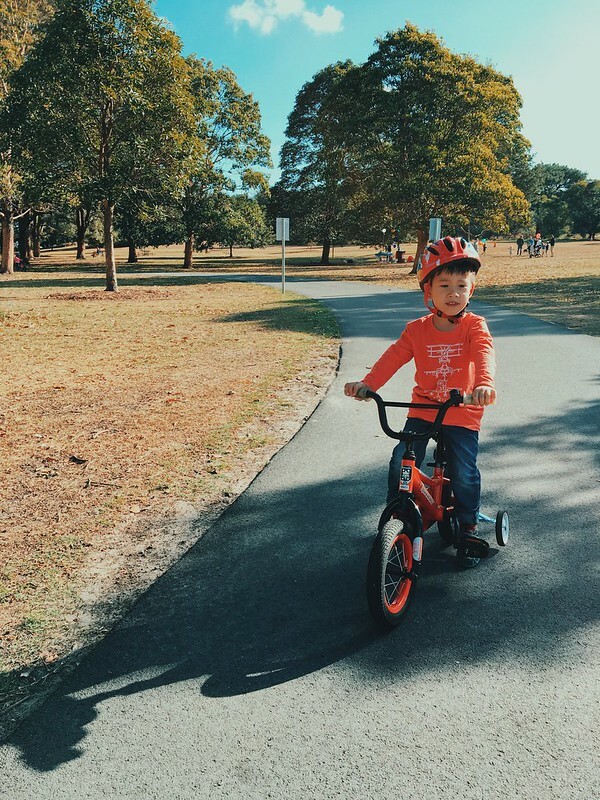 Leon was initially reluctant to ride the bike - 'cause he'd rather push his pram all around the park (my kid is so into pushing stuff). However, forcing him many times and letting him try out a red bike (which I know he'll like), he finally said yes and asked to hire one for each of us. (An hour for a kiddie bike is $10 while $15 for the adult bike). Expectedly, Leon did not know what to do at first. He was just sitting there, asking me if I could push the bike so it would move. He even asked me if he can just push the bike instead (see I told you this boy loves pushing things. So, instead of us biking together, my husband took the adult bike while I was left in charge in teaching my son how to bike. It was tough at first. Knowing Leon, he is always duwag and a bit stubborn to try. So for the first 45 minutes, I was pushing him, so the bike would move. I even maneuvered his feet upward and downward to show him the proper way to pedal the bike. By the way, have I told you how cool his kiddie bike was? 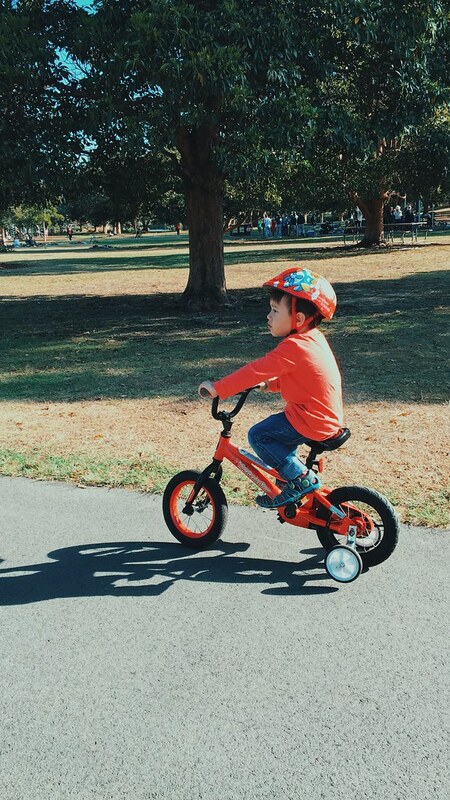 It was so age-appropriate that when the kid pedals backwards, it will automatically stop. Though the back-pedal brake feature was a challenge in teaching Leon to pedal smoothly forward, it gave me the peace of mind. 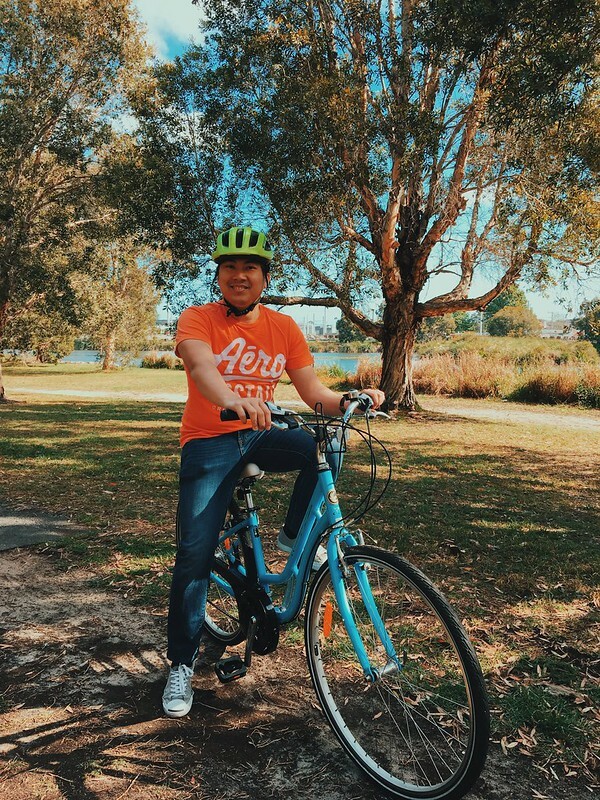 When Leon finally had the confidence, he was finally able to pedal and bike all by himself. 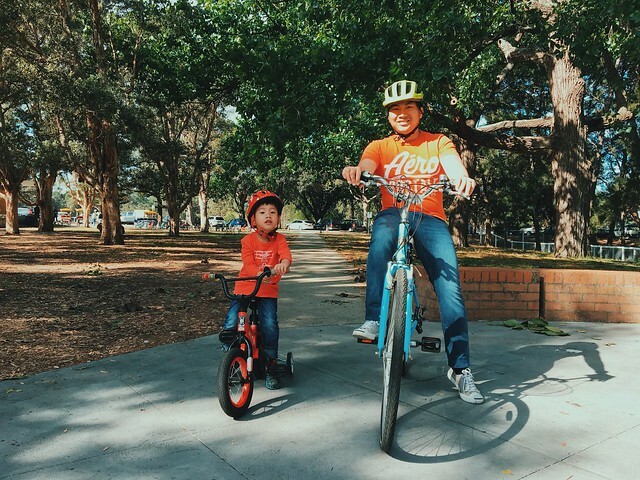 Though turning left and right was still a challenge, we were so proud to see him ride the bike on his own (totoo, nakakaproud at nakakakilig makita ang anak mo maka-accomplish ng ganong kasimpleng bagay). It was such as big step for Leon as I've always known him to be very reluctant to try new things. Yet, seeing him getting confident, taking charge of himself makes me, us feel so emotional for his achievement. Nakakatuwa. Expectedly, he cried buckets when we had to return the bike. Took us a while to pacify him but he calmed down eventually, when we assured him that we will come back for more, next time - which I think involves buying a bike of his own. Which I have to search for cause the bike we hired is for sale for $140. Ang mahal. 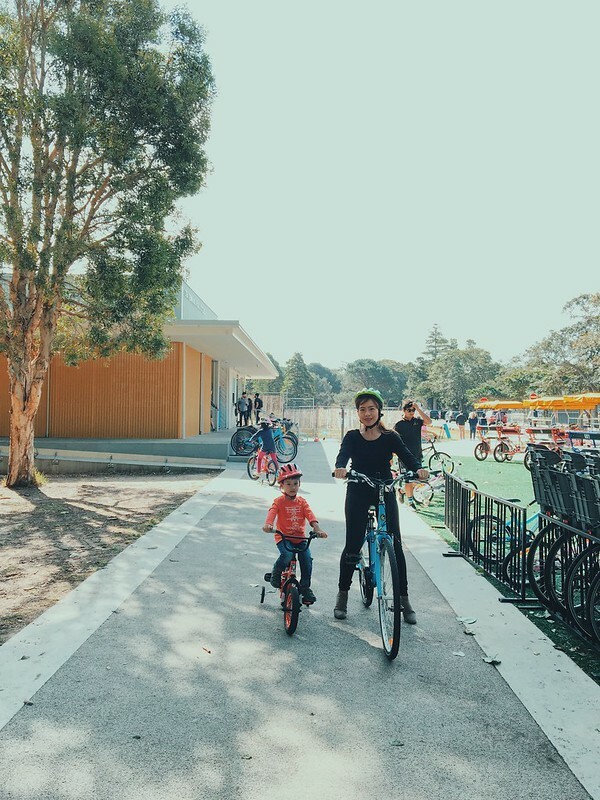 Anyway, to show you how Leon gained his confidence and learned to bike, I'll share with you the video I have uploaded on The Mommy Roves' Facebook Page. Hope you can visit and like! PS: Being the usual maarte person, ending this post with my photo to show the glowing I have done this afternoon. I am thinking if I should post to a separate blog post the products that I have used?